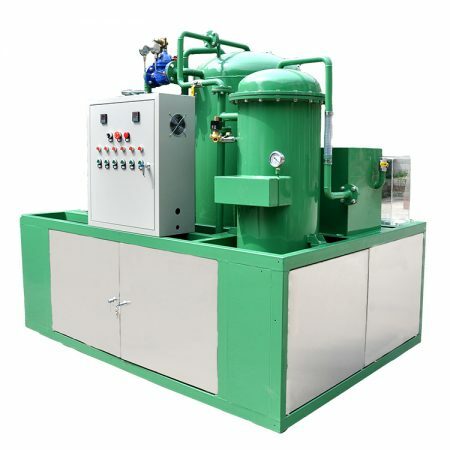 The filter plate and filter frame of the oil filter are made of cast iron or polypropylene – Waste oil purification equipment | used oil recycling machine for sale. The ordinary oil filter consists of a primary filter, an oil pump and a filter. The primary filter is a cylindrical metal mesh, which prevents the larger solid particles in the impure oil from entering the oil pump. Oil pumps are usually gear pumps, conveying pure oil into the filter. The filter device is a small manual compression plate and frame filter press. Special filter paper is used as filter medium. 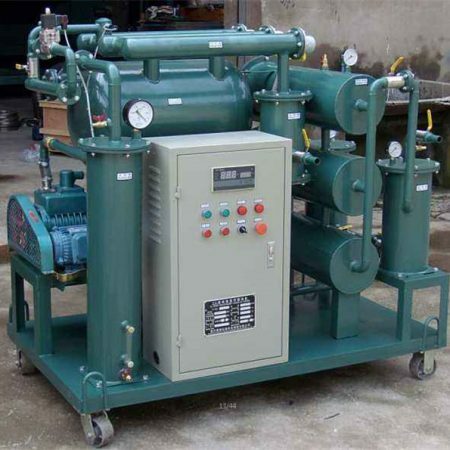 The impure oil enters the plate and frame filter press under the pressure of the oil pump, and passes through the filter paper to become the filter oil. The solid impurities in the oil are trapped on the surface of the filter paper. A small amount of water is absorbed by the pores of the filter paper. The filter pressure is usually not more than 0.3 MPa. When the filter paper is deposited on the surface of the filter, the filter pressure rises to 0.35 MPa, or when the moisture absorption of the filter paper is close to saturation, the residual moisture in the filtrate is no longer reduced, and the filter paper should be replaced. When the viscosity of the oil is high, it can be preheated to reduce viscosity and then filter. This filter can only remove solid impurities and a small amount of water, which is suitable for the purification of general electric appliances and lubricants. When there is too much moisture and impurities in the oil, it must be pretreated before being sent to the oil filter. The processing quantity of the ordinary oil filter is 25~200 liters / points. The square filter frame of the filter has 200 millimeters, 250 millimeters, and two sides of the box. The filter plate and filter frame are made of cast iron or polypropylene. 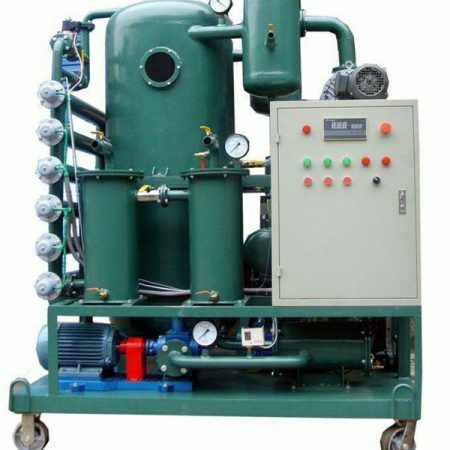 The vacuum oil filter includes the initial filter, the vacuum evaporator, the oil pump, the filter, the condenser (the condenser) and the vacuum pump (the working principle of the vacuum oil filter). 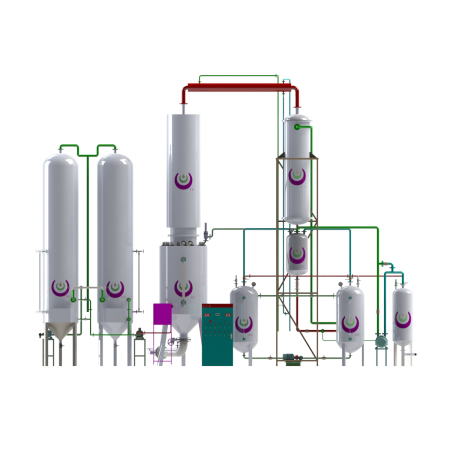 Under the influence of atmospheric pressure, the impure oil enters the vacuum evaporation tank through the primary filter. The oil is heated to more than 100 C and then injected into the vacuum chamber to become tiny droplets. The moisture in the oil is quickly evaporated into steam, which condenses after entering the condenser. Uncondensed water vapor is discharged into the atmosphere by a vacuum pump. At the bottom of the vacuum evaporation tank, the oil that has evaporated and dehydrated is sent to the filter by the oil pump. The solid impurities in the oil are filtered to further absorb the trace moisture. 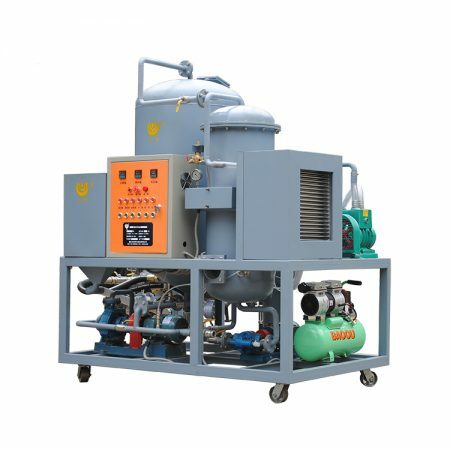 The vacuum oil filtering system can significantly improve the effect of removing moisture from oil, and is suitable for the purification of high voltage electrical appliances. Oil filter is a mechanical equipment that filters solid impurities and moisture in oil and improves oil quality. 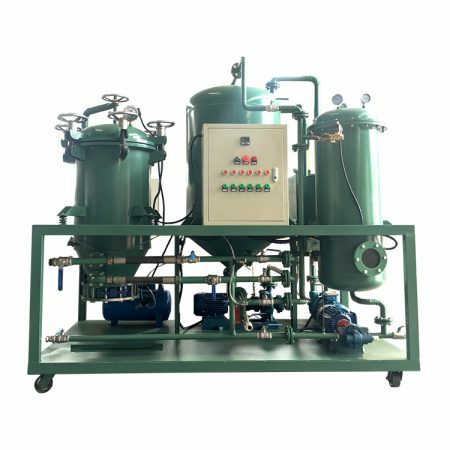 A filter unit for removing impurities and moisture in impure oil by pressure filtration or vacuum evaporation pressure filtration is adopted. The oil filter is mainly used to improve the insulation performance and the purity of the lubricating oil. What is the classification of the oil filter? The oil filter is divided into structure form: plate frame type oil filter, high precision oil filter, vacuum oil filter machine, regenerative filter machine, centrifugal oil filter machine. The function medium is divided into oil filter oil filter, transformer oil filter oil filter and oil filter oil filter machine.